Numerous mounting possibilities (magnetized product, wall support, wall support with padlock insert, desktop stand or suspended). In indoor environments, dense occupation and insufficient air renewal lead to high CO2 concentrations. 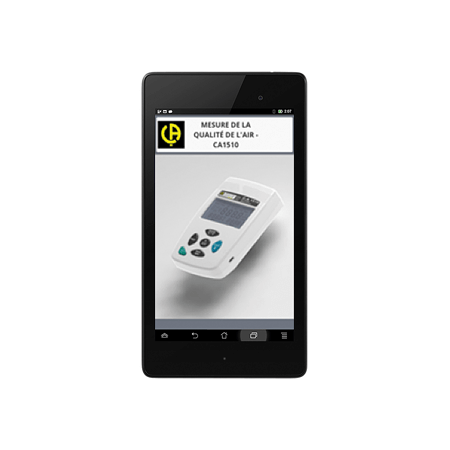 The level of CO2 is therefore an excellent indicator of air quality, alongside pollution analysis performed by inspection organizations and laboratories, as well as showing the effectiveness of the air renewal systems for environmental engineering professionals. 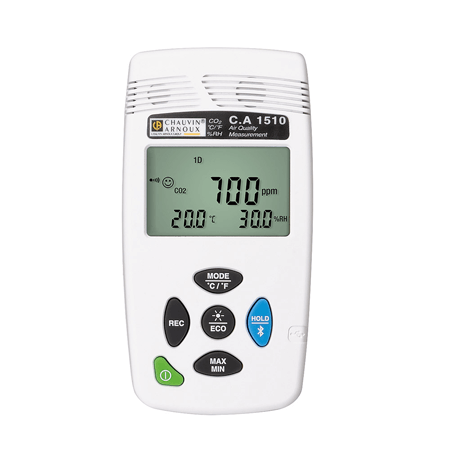 In addition to its portable function, the simple, user-friendly C.A 1510 is capable of recording the parameters measured and monitoring air quality criteria based either on the level of CO2 or on a combination of the three physical quantities measured.